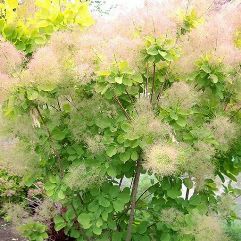 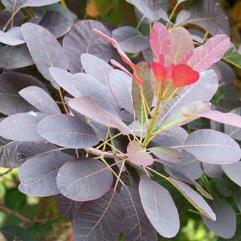 Cotinus Grace has large silver plooms above red-maroon leaves. 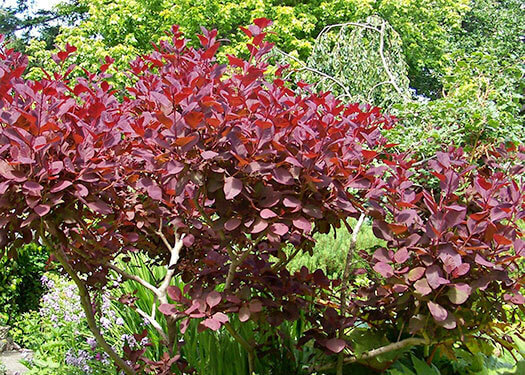 Cotinus Grace flowers at the end of the branches. 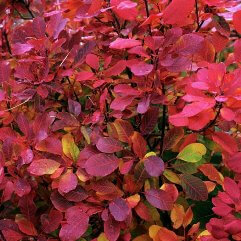 Grace has orange/yellow to scarlet autumn leaves. 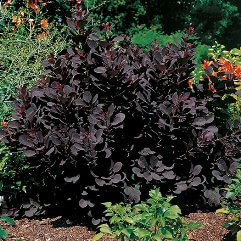 A good plant for borders or as a specimen plant.